After a hearty Thanksgiving holiday full of rich feasting, and in the midst of the predictable after-guilt, I have been contemplating ways to treat my family with reduced calorie goodies for the next round of holiday meals. My parents began adjusting their baking a few years ago, in the interest of continued health and longevity; I try to remember their tip to substitute applesauce for sweetener in recipes when I bake. My kids love the results and I feel great about offerings them healthier treats. While grocery shopping this weekend, I made a point to keep an eye out for other likely candidates for recipe substitution. Although my children visited my sister's family in Alabama for the Thanksgiving holiday, a special treat in itself, as they don't see their cousins as often as we would like, they were due to arrive home today and I wanted to surprise them in the morning with fresh baked muffins to fuel them up for school. With need of some fresh fruits and veggies, as well as the goal of finding some new, lower calorie recipe substitutes for my muffin recipe, I stopped into Walmart for a quick trip. 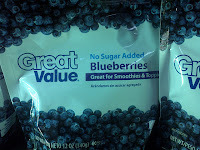 Although ripe blueberries were not an option at this time of year, I made certain that the frozen berries I chose were sugar free. 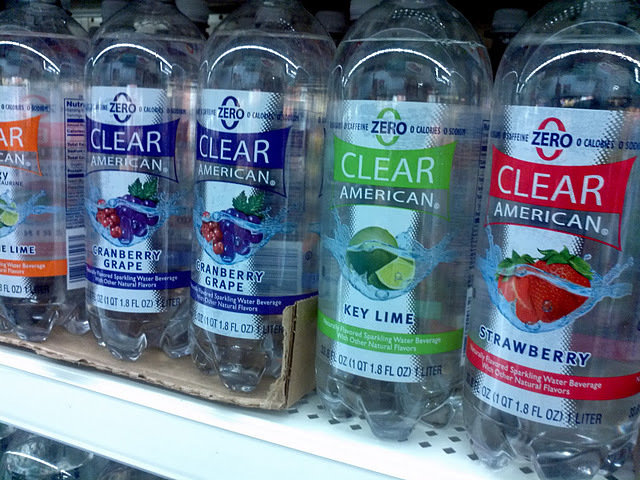 En route to the cereal aisle, I found a display of Clear American Sparkling Water liters in a wide array of fruity flavors. Upon inspecting the Nutrition Facts and seeing 0 calories, sugar and sodium, not to mention the attractive price of .68 a bottle, I knew I had found another viable solution! With my childrens' favorite flavors, as well as my muffin recipes in mind, I decided to pick up bottles of Raspberry Apple and Pom Blue Acai. 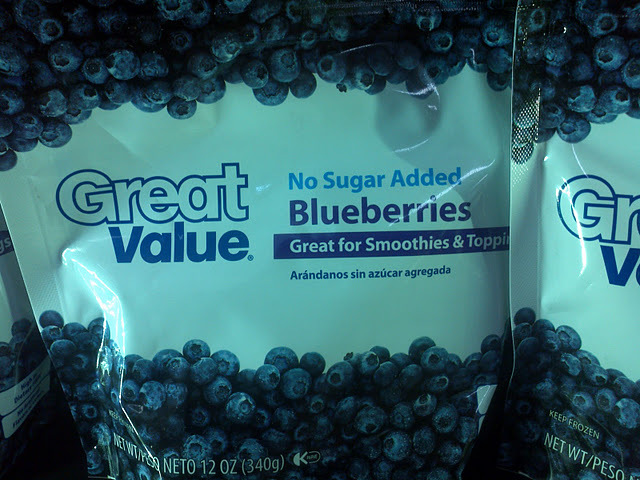 Although both flavors were calorie, sugar and sodium free, I was pleased to note that the Pom Blue Acai was a special antioxidant variety, enriched with Vitamins E and A, as well as Zinc. Using a simple muffin recipe, I made a batch of blueberry muffins, substituting the Clear American Pom Blue Acai water for the milk that was called for. Additionally, I reduced the sugar and salt quantities in half, but increased the blueberries from 3/4 cup to a full cup. The Pom Blue Acai had a mild, yet pleasant taste, and I didn't anticipate any conflict with the flavor of the blueberries. The resulting blueberries baked up wonderfully! Although the overall muffin taste was a bit milder than using the traditional recipe, certainly less sugary, the muffins were moist and appetizing. It didn't take long for the kids to discover these treats, and while a number of them quickly disappeared, I was glad to see there were a few left for the morning's hustle and bustle! Next time, I believe we'll try apple muffins using the Raspberry Apple Clear American Sparkling Water! Heat oven to 400 degrees and, using a pastry brush, grease well 12 - 2 1/2 inch muffin cups. In a large bowl, mix flour, sugar, salt and baking powder with fork. In a small bowl, beat egg and stir in Clear American Sparkling Water and salad oil with fork. Add egg mixture all at once to flour mixture, stirring just enough to moisten the flour, but not over mixing. Bake 20-25 minutes, until they have risen, are golden brown and a toothpick inserted in the center of a muffin comes out clean. Remove immediately from pan and rest on cooling rack. 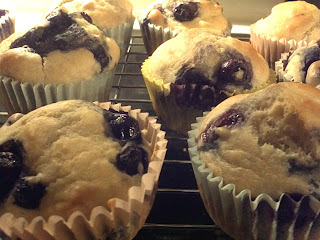 Take a peak at my shopping trip and the process of making these tasty muffins! Do you substitute healthier ingredients in the recipes you bake or make for your family? Share your tips and recipes in a comment below, I'd love to hear about it! This shop has been compensated as part of a social shopper insights study for Collective Bias, which is a vendor for Cott Beverages Inc., the manufacturer of Clear American® brand beverages. The opinions and experiences above are both honest and my own. 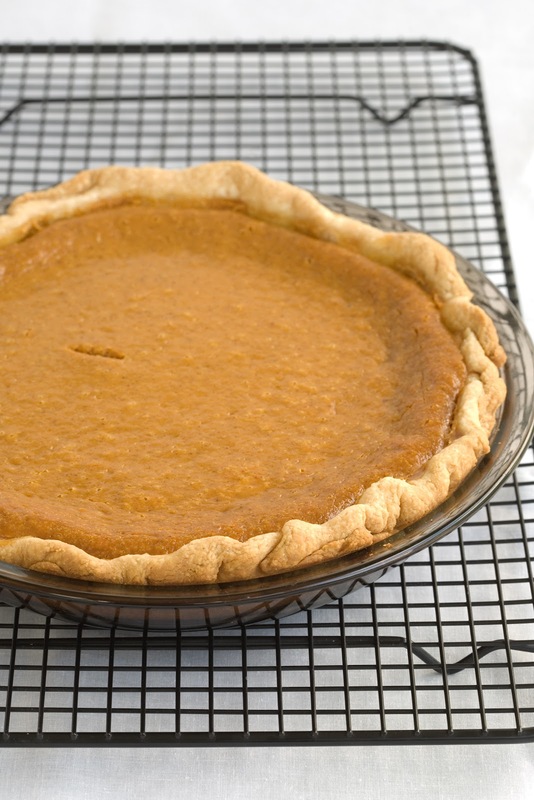 Pie Image. I love Blueberry muffins! Yum! I do substitute baking ingredients for healthier choices and I don't use sugar. I use honey and my local honey farm sells it for 5lbs for $15.00 so that makes it affordable for me to use. That is one fast and easy recipe to accomplish. Good thing I have the ingredients ready. Thanks for the recipe. These are delicious! And what can I say? I brought them to work and they were gone in no time. Thanks for sharing the recipe!